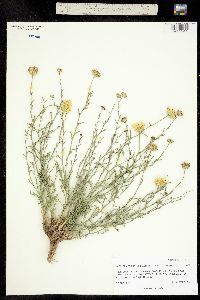 Perennials or subshrubs, 10-100 cm; caudices branched, usually woody, taproots 2-18+ cm. 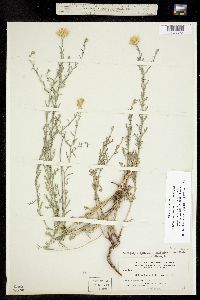 Stems 1-30+, branched throughout or in distal 1 / 2 - 2 / 3 , moderately stout to stout, not wiry, hairy or glabrous, often stipitate-glandular. 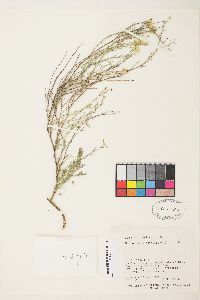 Leaves: basal sometimes withering by flowering, blades 1.5-3 × 0.8-1.3 cm, pinnatifid to 2+-pinnatifid; cauline variously spaced, blades oblong to lanceolate, 0.2-8 × 0.1-3 cm, not reduced markedly distally, margins deeply lobed to coarsely dentate or ± entire, teeth 4-18+ per side, each tipped with white bristles 0.2-1.8 mm, hairy or glabrous, often stipitate-glandular. Peduncles glabrous or hairy, often stipitate-glandular; bracts 0-3 leaflike. Involucres hemispheric to cupulate, 6-10 × 8-25 mm. 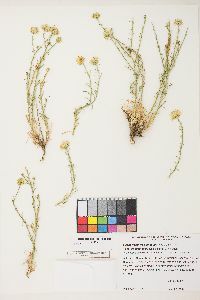 Phyllaries in 5-6 series, linear to linear-lanceolate, 0.1-0.9 mm, apices acute to acuminate, tipped with white bristle, faces glabrous or hairy, often stipitate-glandular. Ray florets 14-60; corollas yellow, tubes 2.5-3.2 mm, laminae 5-12 × 1-2.5 mm. Disc florets 30-150+; corollas 4-5 mm. Cypselae narrowly obovoid, 1.8-2.5 mm, nerves 16-24, sparsely to moderately tawny hairy; pappi tawny, 4-6 mm, bristles progressively longer adaxially. 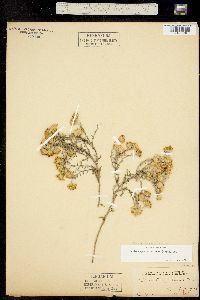 The following two binomials, referable here, are not valid because the name Sideranthus was invalid (nomen nudum) when the combinations were published: S. pinnatifidus Nuttall, and S. spinulosus (Pursh) Sweet. 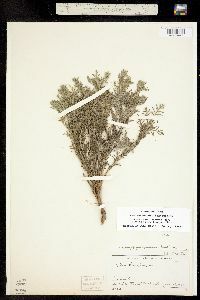 Furthermore, Eriocarpum australe Greene, probably also referable here, although validly published, has never been typified. 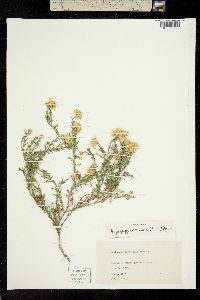 The relevant synonyms are: Haplopappus spinulosus subsp. 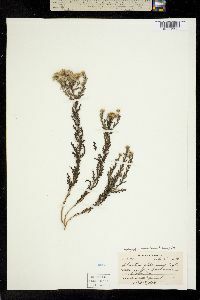 australis (Greene) H. M. Hall and Machaeranthera australis (Greene) Shinners. Over many parts of its range, this species is represented by a series of morphologically distinct populations in isolated mountain ranges now connected by roads. The relatively mesic road right-of-ways form corridors for migration, thus leading to gene exchange. Likewise, long distance dispersal has helped to 'blend' many of these previously isolated and distinctive forms. 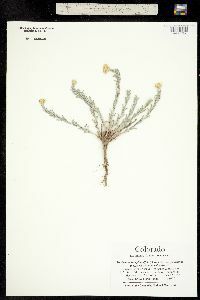 Xanthisma spinulosum 'is an exceedingly complex, variable taxon. It is doubtful that any `absolute´ key can be constructed so as to recognize unequivocally the infraspecific entities proposed here. Instead, we have composed a key that attempts to recognize character trends that serve, in combination, to distinguish a given taxon from another, but the occasional (if not frequent) specimen will be found that keys to a given regional variety but belongs to yet another. 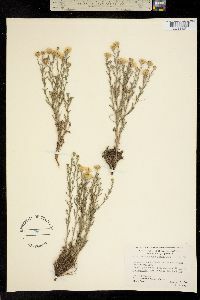 However, if one accepts the exception and recognizes our account as an attempt to portray variable, regional populations and not as a key to individuals, then little trouble should be experienced in pinning a varietal name on this or that collection' (B. L. Turner and R. L. Hartman 1976). The following key is adapted from the aforementioned source; the portion distinguishing var. 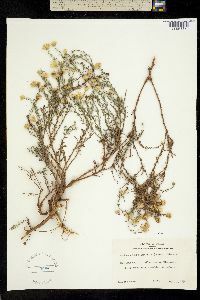 glaberrimum follows G. L. Nesom (2003), in part. 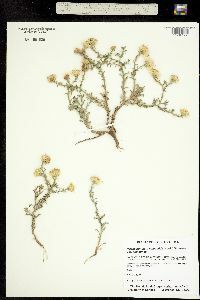 B. L. Turner and R. L. Hartman (1976) distributed the varieties of this species under two subspecies. These are subsp. 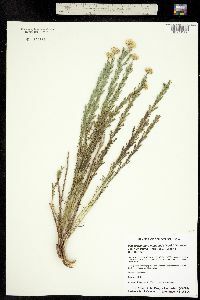 spinulosum, which includes vars. 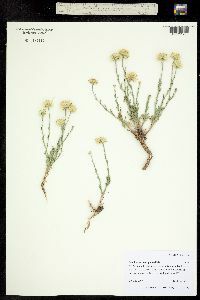 spinulosum, glaberrimum, and chihuahuanum, and subsp. gooddingii, which includes vars. gooddingii and paradoxum.